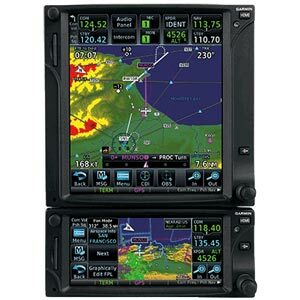 The wait is over for the GFC600 and GFC500 from Garmin. The panel-mount units are equipped with the latest in touchscreens, remote audio control, flight planning and electronic chart capabilities. Today Garmin announced the GFC 600 and GFC 500, solid state attitude-based (AHRS-derived) autopilots for fixed-wing general aviation aircraft. The unique design of these autopilots deliver superior in-flight characteristics, self-monitoring capabilities and minimal maintenance needs when compared to older generation autopilot systems. Boasting a robust feature set, the GFC 600 and GFC 500 incorporate a number of safety-enhancing technologies, including Electronic Stability and Protection (ESP), underspeed protection, overspeed protection, Level Mode, Flight Director (FD) and more. The GFC 600 autopilot is intended for high performance piston single/twin-engine and turbine aircraft that have a wide range of aircraft speed and performance characteristics, while the GFC 500 is intended for less complex piston single-engine aircraft. Built upon the acclaimed performance of the popular GFC 700 autopilot, the GFC 600 and GFC 500 provide pilots with a suite of advanced autopilot capabilities that are an economical addition for a growing number of aircraft. GFC 600 is designed as a standalone autopilot that boasts superior integration capability with G500 and G600 glass flight displays, Garmin navigators as well as a variety of third-party flight displays, instruments and navigation sources. The self-contained GMC 605 autopilot controller incorporates backlit keys and a bright, sunlight-readable display that depicts autopilot status and mode selection. An intuitive built-in control wheel also provides convenient adjustment of aircraft pitch, airspeed and vertical speed modes. 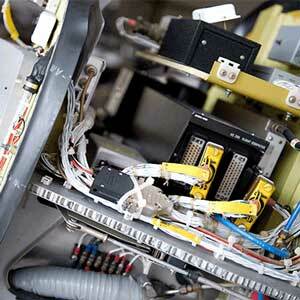 When the level button is selected, the aircraft automatically returns to straight-and-level flight. Standard mark-width design of the GFC 600 autopilot controller allows for routine installation into the aircraft’s avionics stack. 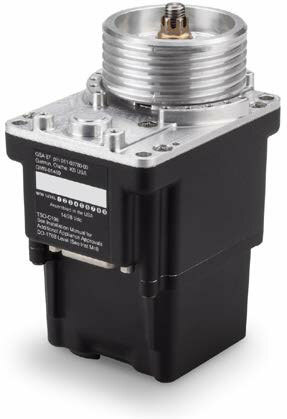 GFC 600 includes environmentally hardened GSA 87 autopilot servos designed for harsh operating conditions. The servos contain a brushless DC motor and a gear train that eliminates the need for a mechanical slip clutch, offering improved performance and reducing maintenance requirements when compared to decades old servo designs. If a G600/G500 flight display is not installed in the aircraft, an optional GI-285 autopilot annunciator panel can display the selected autopilot mode in the pilot’s primary field of view and retains an identical footprint of third-party autopilot annunciators on the market. In the absence of a compatible airspeed and pressure altitude source, an optional air data module attaches to the backplate of the GMC 605. 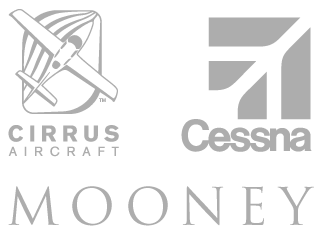 Initial Supplemental Type Certification (STC) for GFC 600 has been completed in the A36 Bonanza and B55 Baron aircraft with the 58 Baron and more aircraft models to follow. 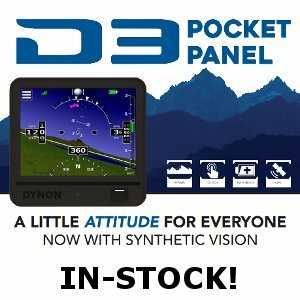 Built upon the new and very popular G5 electronic flight instrument, the GFC 500 autopilot uniquely integrates with the G5 to provide pilots with an economical autopilot and modern flight instrument. The autopilot mode controller contains large dedicated keys and knobs, a control wheel that allows for easy adjustments to aircraft pitch, airspeed and vertical speed and a level button that returns the aircraft to straight-and-level flight. Similar to the GFC 600, the GFC 500 servos also contain a brushless DC motor and a gear train that eliminates the need for a mechanical slip clutch. 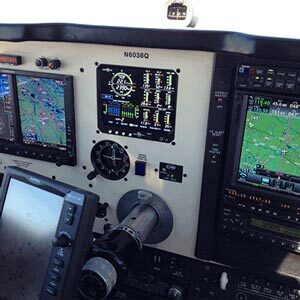 G5 provides input and display of altitude preselect, heading, vertical speed target, airspeed target and Flight Director command bars for the GFC 500. 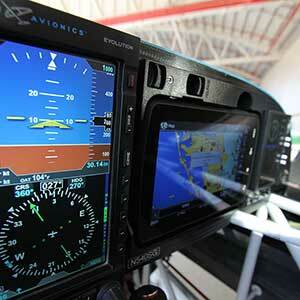 An optional adapter allows the GFC 500 and G5 to interface with select Garmin GPS or VHF navigators. Initial STC for the GFC 500 is expected to be completed on the Cessna 172 in Q4 of 2017 with the Cessna 182 and Piper PA-28 aircraft series to follow. Yaw damper rudder trim: In installations with a yaw damper mode, the system provides rudder control to avoid Dutch-roll oscillations and to coordinate turns when banking. automatic rudder control to avoid Dutch-roll oscillations and to coordinate turns when banking — even for airframes that don’t have a mechanical rudder trim system.